After a string of serial blasts rocked Sri Lanka on Easter Sunday killing 185 people, Bollywood celebrities like Jacqueline Fernandez, Shekhar Kapur and Vivek Anand Oberoi condemned the bloodbath as an act of cowardice. Actress Jacqueline Fernandez, who is from Sri Lanka, wrote: "Extremely sad. It's unfortunate that one is not able to see that violence is like a chain reaction. This has to stop!" Shekhar Kapur: It was a well coordinated attack at Easter... Terrorism remains our number one global enemy. No one, nowhere is safe. Anushka Sharma: Our hearts go out to everyone affected by this tragic act of violence in Sri Lanka. We are praying with you in this painful moment of sorrow, grief and shock. Arjun Kapoor: Really disturbed to hear about the monstrous attack in Sri Lanka on such an auspicious day. Huma Qureshi: What a sad day! To attack families and children going to church on Easter Sunday. This is terrible. what is happening to our world. Madhur Bhandarkar: It's a extremely shameful act of terrorism to attack innocent civilians. My heartfelt condolences to the ones who lost their lives and praying for the safety of everyone affected in Sri Lanka. It's a extremely shameful act of terrorism to attack innocent civilians. My heartfelt condolences to the one who lost their lives and praying for the safety of everyone affected in #SriLanka. Stay Strong! Vivek Anand Oberoi: Deeply saddened and shocked by the tragic and terrible attacks in Sri Lanka. An act of cowardice on a day of prayer, shame on these terrorists. Adnan Sami: I'm horrified and extremely saddened by the disgusting and barbaric terror attack in Colombo... For the love of God, please stop this! Kunal Kohli: Heart goes out to the people of Sri Lanka. Another cowardly terrorist attack. I’m horrified & extremely saddened by the disgusting & barbaric #TerrorAttack in #Colombo #SriLanka. Prayers for the souls of the victims & my heartfelt condolences to their families. Boman Irani: Shocked to hear the extremely disturbing news coming in from Sri Lanka. Had stayed at the hotels and it's heartbreaking to even imagine the situation. Shocked to hear the extremely disturbing news coming in from #SriLanka. Had stayed at the hotels & it‘s heartbreaking to even imagine the situation. My heartfelt condolences to the near & dear ones of those who lost their lives & praying for a speedy recovery of the ones injured. Soha Ali Khan: Cannot wrap my head around the fact that people plan and execute the mass murder of innocent men women and children. It is a sad Easter Day and my heart goes out to those who have lost loved ones. NEW DELHI: Actress Sonam Kapoor's businessman husband Anand S. Ahuja went down on one knee to tie his significant other's shoelaces at a store launch in the capital. MUMBAI: Actor Abhishek Bachchan, who is celebrating his 12th wedding anniversary in the Maldives, has posted a photograph his "girls" — wife Aishwarya Rai Bachchan and daughter Aaradhya—enjoying quality time in the pool. MUMBAI: Veteran actor Anupam Kher and superstar Shah Rukh Khan's jest over growing up on social media on Thursday reminded of the "cool" father-son relationship the two shared in the 1995 film ‘Dilwale Dulhania Le Jayenge’. MUMBAI: Leading actors Amitabh Bachchan, Aamir Khan and Ranbir Kapoor have featured in a tribute song dedicated to the 40 slain CRPF troopers who died in a terror attack in Pulwama, Jammu and Kashmir, in February. MUMBAI: Keeping up with the relaxed Sunday vibes, megastar Amitabh Bachchan on Sunday treated his fans and followers with jokes on social media. LOS ANGELES: Singer Ariana Grande has said the celebrity she still loves the most is Hollywood star actor Jim Carrey. Grande said she adored the "Dumb and Dumber" star even more because of his inspirational quotes about depression, reports mirror.co.uk. Netflix has landed a three-project deal, reportedly worth a whopping $60 million, with singer Beyonce Knowles. Actors give their best when it comes to the perfect shot or dwelling into the skin of the character. Many a time, an injury comes as a part of the shooting process. 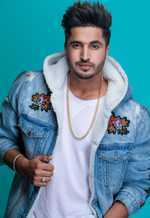 Punjabi singer and actor Jassi Gill says his Happy Phirr Bhag Jayegi co-star Sonakshi Sinha should stop singing. Jassi expressed his views when he recently appeared on an episode of a talk show along with Rhea Chakraborty. During the last leg of the show, the host played fun-filled games with the celebrities. On the seventh anniversary of the release of his maiden film Vicky Donor on Saturday, actor Ayushmann Khurrana says the success of the movie on sperm donation, allowed an “outsider” like him in the film industry to dream big. Soft music, meaningful lyrics that leaves a deep imprint on your mind! Well, that pretty much sums up Jasleen Royal’s songs. 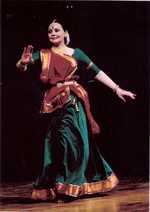 The Chandigarh Sangeet Natak Akademi has ventured to revive and rejuvenate the guru-shishya tradition, which has long been the life of the Indian classical arts. Singer, songwriter and composer Arko Pravo Mukherjee is thrilled at the success of his composition Teri Mitti from Akshay Kumar’s Kesari. If you wait for the weekend to watch multiple episodes of the popular Netflix shows that portray violence, chances are you may see the world as meaner than it really is - a phenomenon known as “mean world syndrome”, suggests new research. Designing is all he knows, and intends to do. Marvel Studios want their films to “reflect audiences all over the globe that are cheering” their work. Duchess of Sussex Meghan Markle sported a sari and embraced traditional Indian culture; this has emerged in a never-before-seen footage of a trip she made back in January 2017. LISTEN:With, ‘nothing is impossible’ as his motto, singing sensation Guru Randhawa continues to chart new frontiers. Ace choreographer Bosco Leslie Martis recently announced his directorial debut. Bosco said, “As a choreographer, I wanted to explore my skills in the dancing world without trying to attempt a film on the lines of Step Up. Disha Patani, who will soon be seen in the upcoming film Bharat alongside Salman Khan, took to her Instagram stories to share a picture of her sister, Khushboo, who is in the armed forces. Four times National Award-winning filmmaker Madhur Bhandarkar will be felicitated at the 31st Master Deenanath Mangeshkar Award ceremony that is to be held on April 24. 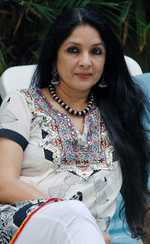 Neena Gupta, who received much appreciation for her role in the film Badhaai Ho, jokingly called Shah Rukh Khan and Karan Johar ‘cheap and mean’ at a chat show. The summer is in full swing. In such heat, Deepika Padukone continues to shoot for her upcoming film Chhapaak in Delhi. Beating the heat, Deepika is taking extensive care to shield herself from the heat. Oscar-winning actress Anne Hathaway says she quit drinking because it was making her ‘unavailable’ for her son. In an interview the actress opened up about her life as a mother to three-year-old Jonathan Rosebanks — specifically, how the “just one drink” method doesn’t really work for her as a parent. They were together for a private coaching. Hashneen Chauhan, model-turned-actress, former Miss Punjab has won hearts of many Punjabis as Nooran in Yaara Ve. 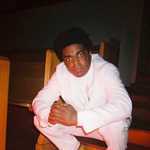 NEW YORK: Rapper Kodak Black was released from custody by the New York State Police on Thursday after being arrested on drug and gun charges while coming across the Canada-US border near Niagara Falls, police said. Whenever Barj Dhahan begins a new project, be it organic farming or putting a real estate in shape, he walks around its precinct. Every journey is a story and every story has a message. This one is about 12 bikers who undertake a trip for a special story, rather a feature film. Fardeen Khan was recently trolled over his weight gain. 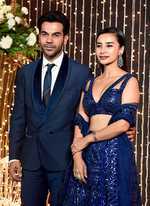 National Award winning actor Rajkummar Rao has praised his girlfriend and actress Patralekhaa. Decades before Deepika Padukone chose to play a girl with an acid-scarred face on the big screen, Zeenat Aman and Rekha essayed strong women with disfigured faces in films, a medium where the heroine has typically lent glamour. Hrithik Roshan, who had left no stone unturned to slip into Super 30’s character, had gone an extra mile to shoot for the film. Shah Rukh Khan has given several versatile performances in the past and the superstar still strives to bring different stories to the cinemas with his last outing Zero. Last week, the makers of Chhichhore announced its wrap up in a grand manner with a song shoot. The film, starring Sushant Singh Rajput and Shraddha Kapoor in the lead roles, is set in two eras — the 1990s and 2019.